I’m someone who likes to work in many different places throughout the week. Sometimes I’ll be at my office. Other’s I’ll be outside or at a park. I work from coffee shops and friends houses. I’m also someone who likes to move and change positions while I work. So, my challenge is to find a product that adapts to my mobile and position-changing style. 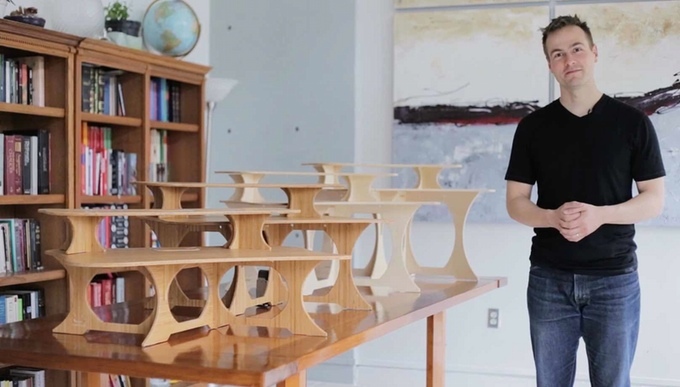 The StandStand product line does just that and I’m excited to try the latest model, the StandStand Grand. 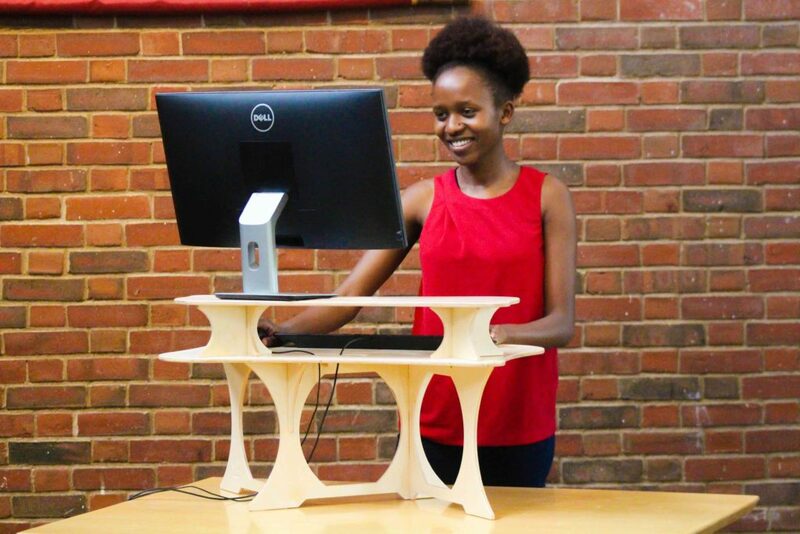 The entire StandStand product line is designed to turn your regular sitting desk in to a standing desk, and to do it with a combination of stability and portability. Luke has also just introduced a couple clever add-ons. StandStand got started with a Kickstarter campaign focused on providing the most simple and portable product: the Classic. Luke was unsatisfied by having to spend hundreds of dollars for a portable standing desk that was either heavy and bulky or not stable enough to be trusted with his laptop. The Classic is designed to address those specific design considerations and its success launched it all. One of the most compact and portable desk transformers I’ve seen, the Classic is lightweight, fits in my laptop bag, and is super easy to assemble and take down. Over time Luke has added other products and materials to the lineup. Materials available include birch and bamboo. More variety in design and size is also available with the Modern and Mouse models. The result is a really simple, well designed group of products. 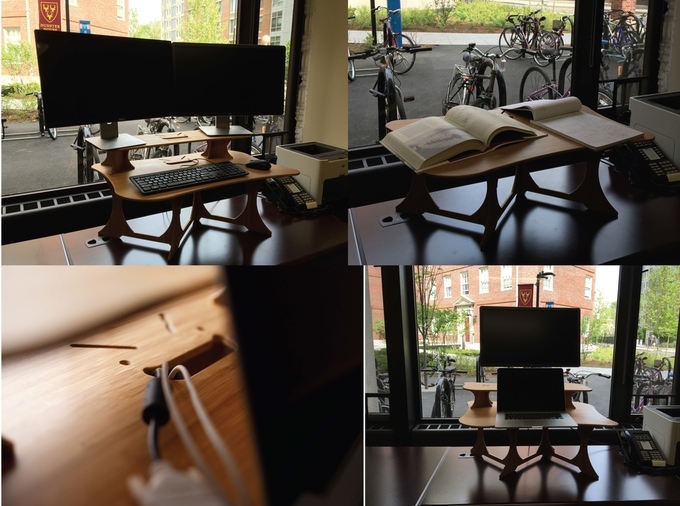 Luke’s latest addition is the StandStand Grand which solves the more stationary workstation problem where you want a monitor and keyboard rather than just your laptop. Or, when you want a larger work surface for drawing or sketching. The StandStand Grand is significantly wider than previous models and provides two levels of desk space. The greater working area is essential for having more than just a laptop and small mouse on your StandStand. The second level is all about getting the ergonomics right for both the monitor and keyboard. This neat sitting to standing desk adapter (or as I call them: transformers) has enough space for a laptop, monitor, keyboard, mouse, tablet phone, sticky notes, pens, and the other random items that collect on my desk. I haven’t tried it yet but if you use this with a desktop computer, or if you have space on the your desk to place your laptop off the Grand, they you may find there is space for two monitors, depending on their size. The Grand is getting started in Luke’s typical fashion, a Kickstarter campaign that launched in June 2016. If you like the simplicity and design of the StandStand line then don’t miss the Grand. It takes your desk to a whole new level. Check out the StandStand line on StandStand.com.